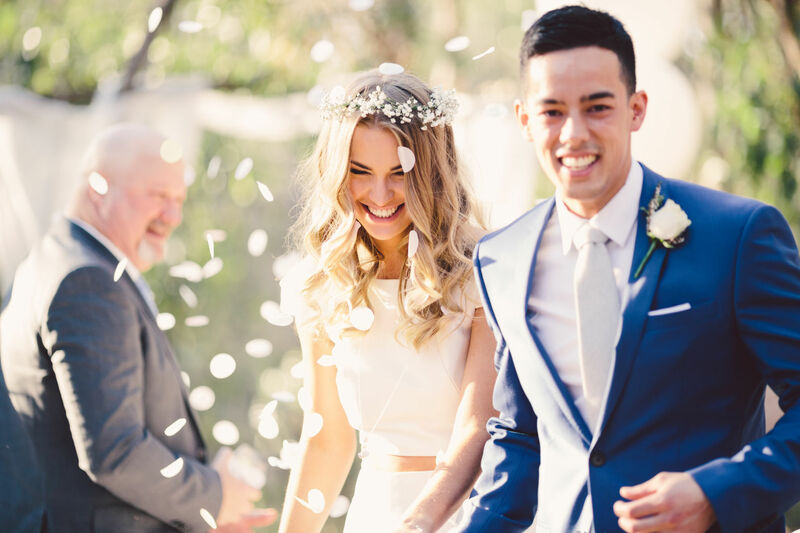 Are wedding bells on the horizon for you and your partner this year? Our wedding makeup artists have shared their tips on making sure you love your makeup on the day. Besides hiring a talented makeup artist, one of the biggest factors in the quality of your wedding makeup is the health of your skin. We’ve all had those days when our skin is dry or congested, and our makeup just doesn’t sit right. While the best makeup artists can make any skin texture look beautiful, anything you can do to nourish your skin will make a big difference. Now for the fun part – we encourage you to rummage through beauty magazines, Pinterest and Instagram to source ideas and photos of the makeup styles you like. Are you thinking natural and understated like Meghan Markle or something a little bolder? While we’d always recommend opting for a timeless beauty look, there are definitely a few liberties you can take in terms of lip colour or eye shadow. However, if you’ve not tried a bold lip or winged eyeliner before, we’d suggest not trying it for the first time on your big day. This is your wedding, so it’s important your wedding makeup reflects your personality and makes you feel like yourself! With that in mind, start collecting photos of wedding makeup looks you like, either from magazines, social media or anywhere else you can find them. Show these to your makeup artist so they know what you’re hoping to achieve. This is also a great chance to ask for advice on which styles will suit your skin tone and colouring. With so many talented makeup artists available, it can be daunting trying to find the right one. You want someone who is experienced enough to do the job without any hiccups, but also someone who you can help make your wedding day a fun and relaxing experience. Ask your married friends for referrals of makeup artists they love. Then we’d suggest looking at the testimonials of makeup artists you’re considering, to make sure their clients have had positive experiences. Reviews and word-of-mouth are the most trustworthy methods of finding a great makeup artist. Once you’ve found your makeup artist, and you’re armed with all of the inspiration material you’ve found, book in a makeup trial. This is an invaluable opportunity to test the look on your own face, and consult with your makeup artist on which styles will look best with your dress / jewellery / hair and eye colour. For more tips on preparing for your wedding day, including how to prepare your hair, read our ultimate wedding beauty checklist. Want to Speak to Our Wedding Makeup Artists? The Brisbane wedding makeup artists at TWIDALE are available for wedding day hair, makeup or both. Read what our brides have said about us on our testimonials page, and see photos of our work on our Instagram. Please get in touch as early as possible to secure an appointment.